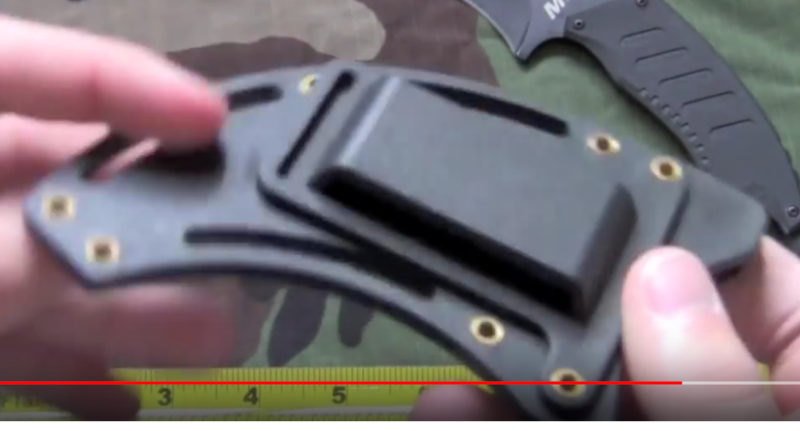 Boker Magnum Karambit belt clip wtf? Discussion in 'Boker USA' started by xtblade, Nov 8, 2018. I just got the Boker Magnum Spike Karambit. Can somebody tell me how the hell I'm supposed to use the belt clip that came with it? It's too narrow to fit anywhere. Belt clips like this one (or the Tek Lok, or any similar clip) are always attached only at one side of the sheath. That´s the way they are constructed, and the way it works. They never go completely over the sheath to get attached on both sides. So both screws sit on the same side of the sheath, and the opposite side has no screws. 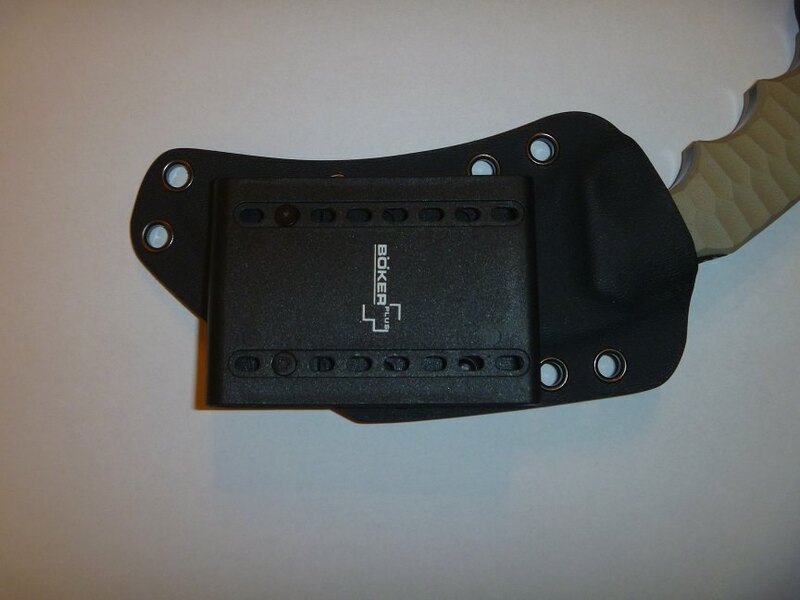 Basically, you could mount it in any position you like, and if the holes (rivets) in the sheath do not allow the personally preferred position (horizontally, vertically, diagonally), you might just drill an additional hole in the sheath, which you can use in combination with one of the rivets of the sheath to mount the clip in the preferred angle. Thanks for your reply. I do like the knife but this won't work for me. The clip seems too flimsy to me to wear at one side of the sheath. Some comments on the net seem to support this. TBH even if it was sturdy I would still prefer a regular solid clip/belt loop such as this one on a $9.99 karambit. But thanks for the info anyway.